Preheat the oven to 190ºC/375ºF/Gas 5 and line a baking sheet with baking parchment. Beat the butter with the sugar in a bowl with a wooden spoon. Add the eggs and flour and mix well. Work the chopped chocolate and cranberries into the mixture. Drop generous dessertspoonfuls of the mix onto the prepared baking sheet and cook in batches for 10–15 minutes until the cookies are golden, but still soft. Leave to cool for 1 minute on the baking sheet before moving to a wire rack to finish cooling. 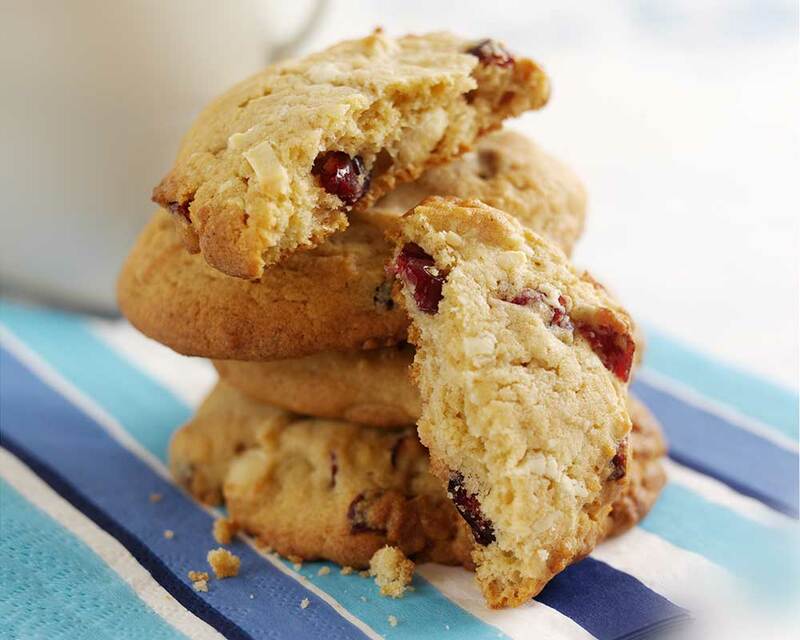 This is one of those wonderful recipes that is great to get children interested in baking as it doesn’t involve the use of an electric mixer – just keep an eye on where the white chocolate ends up! Discover the delight of cooking with eggs; nature’s own convenience food. This recipe is taken from Take a Box of Eggs, which features 100 easy, irresistible recipes in an attractive yet straightforward style. Buy now for just £7.49. It’s a silly and simple story – like many of Mick Inkpen’s books – but it resonated with each of our children when they were little. They love the fold out pages and the sense of fun that the author so cleverly creates. Ever since I was a small child engrossed in Roald Dahl books I have loved Quentin Blake. Author and Illustrator of this book, he has filled it with his cheeky wit. And it’s great for putting on an absurd posh voice! As I read my original 1970s copy to my children I have to change a few words here and there – PC it isn’t (e.g. the girls always have to help in the kitchen but the boys don’t). But the magic in this book is unrivalled in anything else I have come across for young children and all my children love it as much as I did. David Walliams has a fantastic ability to write modern day stories with old fashioned fun and adventure. In each of his books the morals are always spot on and his characters are hilarious. My son and I love Raj who appears in every book he writes. Heartbreaking and heartwarming, this was my favourite book when I was young. It’s a moving and compelling tale, which reveals the complexities and terrible consequences of war through a child’s eyes. Ok, I have to confess that this one is my choice. My children are just too wussy to read Harry Potter yet as they get scared after about page 3. J. K. Rowling’s series of epic adventures are just unquestionably brilliant. I’m going to get the audio books for the car and hope that Stephen Fry’s dulcet tones will persuade my children to listen. Having owned a very grumpy cat (who once ended up on the vet’s head!) this story particularly resonates with us. Mog’s escapades always make us all giggle. Erie and disquieting, this multifaceted tale of two children who befriend a loner on their island is a real page turner. It was our first Michael Morpurgo book and we loved it. There’s something about the rhythm of rhyme that intrigues children. Even when my little ones are distracted Julia Donaldson’s soothing stories encourage them to listen. In this book, there are so many funny characters it gives us parents a great opportunity for a cavalcade of silly voices! surely it’s time for a treat? (or not so little) ones. 1 Preheat the oven to 180°C/350°F/Gas 4. Line a baking tray with non-stick baking paper. 2 In a large bowl, beat together the butter and sugar until light and creamy. Gradually beat in the egg. 3 Sift in the flour and baking powder and add the oats. Stir well. Add half the mini marshmallows and half the chopped chocolate. 4 Drop heaped tablespoonfuls of the mixture onto the prepared baking tray and bake for 10-15 minutes, until just turning golden. 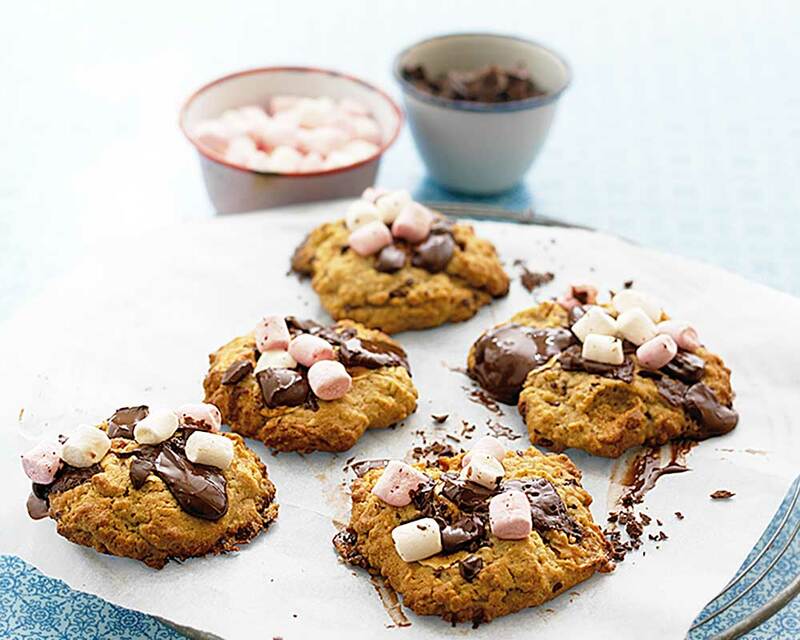 Sprinkle over the remaining marshmallows and chocolate chunks as soon as the cookies are removed from the oven. Leave to cool slightly, then transfer to a wire rack to cool completely. Swap marshmallows for dried fruit if you like. Sprinkle any leftover marshmallows over ice cream with a drizzle of golden syrup for a naughty dessert. and our best recipes ever! Fantastic Food For Less is about cooking delicious meals more economically – each recipe is simple to cook, tastes fabulous and won’t cost the earth. 100 easy to prepare, triple-tested recipes to ensure perfect results first time! Soups & Snacks, Main Courses and Desserts & Bakes. How would you spend £250 at Marks & Spencer? This season’s fashions? Shoes? Food and drink? How about your Christmas shopping? Simply complete the form for your chance to win. Click here to read the Blogs on the Dairy Diary website. 1 Preheat the oven to 110°C/225°F/Gas ¼. Line a large baking sheet with a sheet of non-stick baking paper. Whisk the egg whites in a large bowl with a hand-held electric mixer until they are stiff and the bowl can be turned upside down without the meringue moving. 2 Mix 50g (2oz) of the muscovado sugar with the caster sugar in a bowl then gradually whisk into the egg whites, a teaspoonful at a time and continue to whisk for 1–2 minutes until it is very thick and glossy. 3 Using a dessertspoon, take a scoop of meringue, slide the bowl of a second dessertspoon into the first spoon to shape the meringue into a neat oval. Slide it off the second spoon with the help of the first spoon on to the paper. Continue until all the meringue has been shaped and you have about 20 meringues. 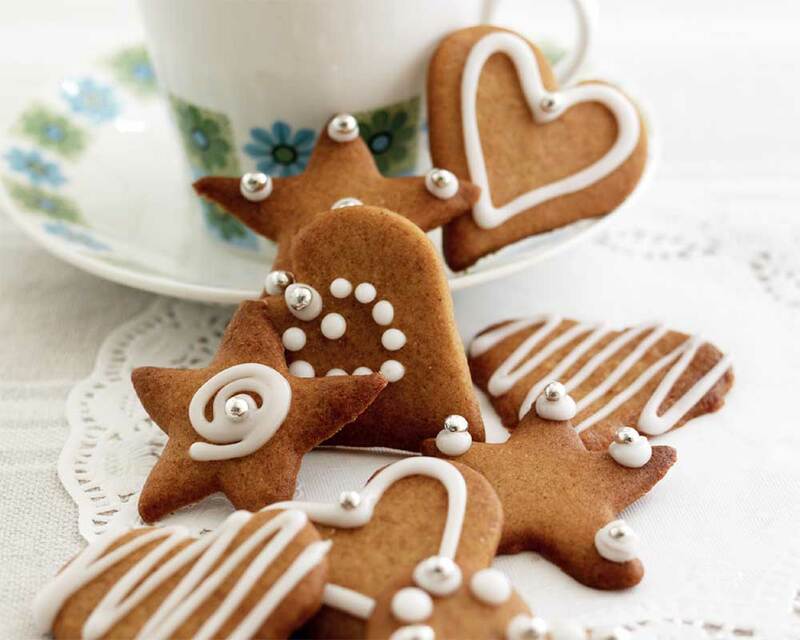 4 Bake the meringues for 1–1¼ hours or until they can be lifted off the paper easily. Leave to cool. 5 To serve, pour the cream into a bowl, add the remaining sugar and cinnamon and whisk until it forms soft swirls, then use it to sandwich the meringues together. Place them in paper cases. 6 If using the chocolate, place in a heatproof bowl over a barely simmering saucepan of water and stir until it has melted. Drizzle over the meringues. The cooled, unfilled meringues can be packed into a biscuit tin lined with non-stick baking paper and will keep for up to 1 week.